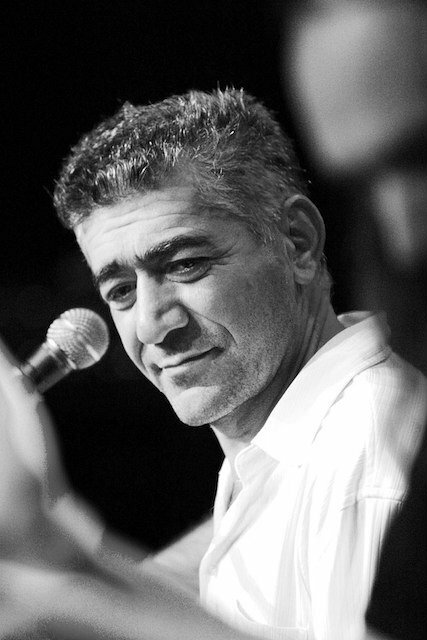 The Kurdish Legend Ciwan Haco was born on 17th August 1957 in Tirbe Sipîê, northern Syria. He is a descendant of the Kurdish noble family, Haco Agha, from the district of Mardin. As a result of repression after the rebellion of Sheikh Said in 1925, the family left the region of Mardin and settled in Ciwan’s birthplace. His father laid special emphasis on Ciwan´s education and initially he did not share Ciwan´s passion for music because only the lower classes made music at that time. Ciwan, despite all this, loved music and decided to work towards a career in music. At the age of 14, he finally published his first compositions. By the time he was 17, he gave his first concert on a large stage. After moving to Norway in 1991, he worked with great international musicians such as Paolo Vinaccia (drums, percussion), Stein Hanssen Bull (electric guitar), Bugge Wesseltoft (keyboards) and Bendik Hofseth. Finally he could afford professional studio recordings from his numerous concerts. Although he had long been a celebrated star in his hometown, he signed his first official recording contract in Norway in 1991. In 2003 he received a permit to perform in Turkey. In Batman, he united more than 200,000 Turks and Kurds peacefully to attend his concert. With this event he filled a 14,000 capacity hall with 25,000 people. 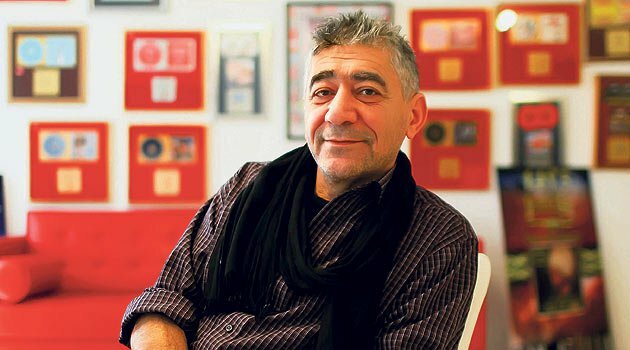 Almost all Turkish media reported the performance as the largest solo concert in the history of the Turkish music scene. What was your first written song? Emina was the song that people knew me through. It has an Alawi Kurdish base and I liked its melody for which my sister wrote the lyrics. I could say that this song made my name in Kurdistan of Rojava; I was only 14 year’s old living in Tirbe Spîê then. (Laughing) I went to Norway from Germany. You know, I went to Germany in 1980 to study musicology at the Ruhr University Bochum but I did not finish my degree. After that, in 1991, I moved to Norway and stayed there until 2003, when I moved to Sweden and where I have been living since then. I moved to Sweden because my parents wanted to live in there as they were getting old and couldn’t work anymore. My sisters were living here as well, so I came here to be with them. Do you prefer living in Sweden, Germany or Norway? (Sign) Now no, I like living here but sometimes I feel I am trapped. You see my main reason for remaining here is my two daughters, Lorîn (15 years old) and Rosa (12 years old). If it wasn’t for them, I wouldn’t have stayed in Sweden, neither Germany nor Norway one more day. In the end, I deeply thank these countries, especially Germany, for giving me a German passport; I said it many times and will keep saying it. They let me feel I am human and brought me back my dignity and humanity. They allowed me to strengthen my Kurdish language, as it was forbidden to learn Kurdish in Rojava and we weren’t permitted to talk in Kurdish at school, along with all the injustice and oppression that Kurds faced in Rojava. So I thank these countries for welcoming me and enabling me to start a new life here. But because you asked me about where I would prefer to live, I would say I prefer to return to my hometown, to my Kurdistan. Once my children are older than 18, I will not remain here. So you are saying if Syria’s situation gets better, you will return again? Syria as we used to know it will not be the same, Syria will not get better. Kurds might get a state for themselves in Syria which will be fair and good news. There won’t be anything called Syria or Iraq anymore; the Middle East is being divided. I believe Kurds will get a state, Kurdistan will be a recognized state and very soon. I never considered myself as a Syrian and I never will, because Syria is an artificial state, as well as Iraq – both were created by other people – that’s why it’s very difficult to keep it united without a dictator as we can see today. Every single party has its own resistance, including Kurds, Shiites and Sunnis. What do you miss the most about Qamishlo? I have many sweet memories from Qamishlo. I was a young man studying in high school at the literature section at Tala’a in Qidur Bek. I had many friends and we spent amazing days together with me playing the Saz and singing. Although we did not have massive house parties, we enjoyed ourselves a lot. Every person is strongly connected to their homeland and where they grew up. Having an identity and feeling you belong somewhere is a very important thing, especially psychologically. Everyone must have somewhere that feels like home and to call home. Now I’m old, but when I first came to Europe I was a young man and have always enjoyed the luxury of life here. I had a very joyful youth in Europe and have been playing concerts since 1980 till now. Despite this, I have never stopped thinking about Qamishlo and missing it. You have sung with many singers. Which one did you enjoy working with the most? I would say Hülya Avşar, a Kurd from Turkey, because the song Esmer that we sang together was very successful among Kurds, especially who lived in Northern Kurdistan in Turkey. As you know, Hülya Avşar is very well known in Turkey which greatly helped to spread our song among Turks as well. It was great working with her because people loved the song. 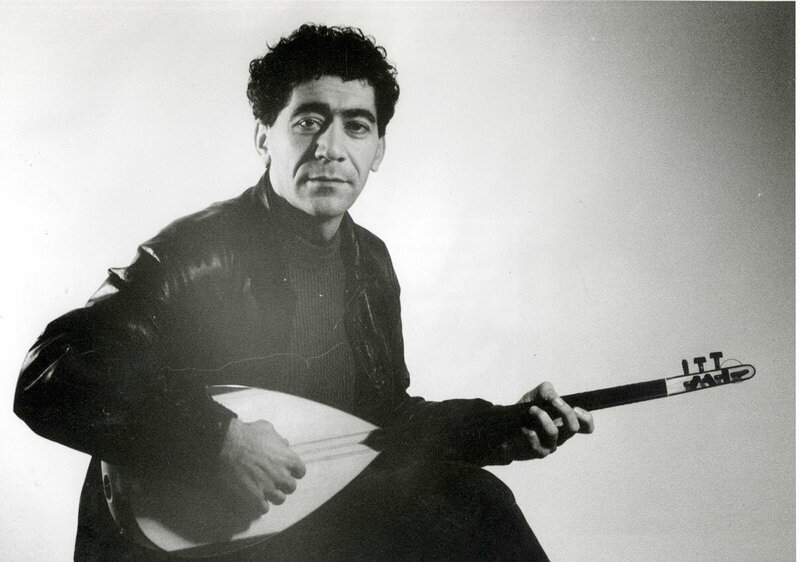 You were one of the very first Kurdish singers to combine Kurdish folk music with Western-style pop music, rock, blues and jazz. How did you embark on this? I have always liked the English language and English songs. I used to listen to the Beatles and the Rolling Stones in Tirbe Spîê village. When I moved to Germany I continued listening to pop, rock, jazz and blues; everyone is influenced by the music they like to listen to. When I came to Germany, I met three German musicians who I worked with for almost 10 years and put on concerts. 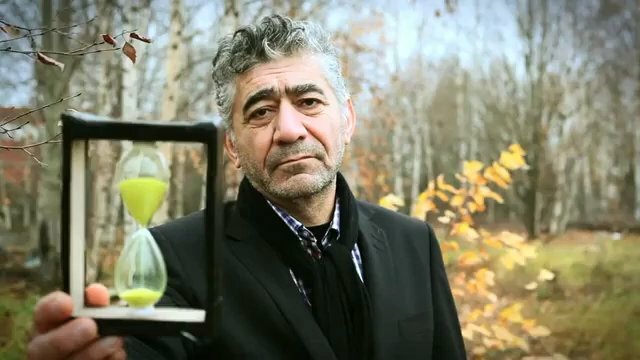 Nothing was planned, I didn’t deliberately decided to change the style of Kurdish music, but I can say that moving to Germany, working with German musicians and living among Germans had an effect on my music that resulted in a mix between Kurdish folk music and Western styles. It’s true, it was a new thing for Kurds to hear. I was then working very hard and putting on concerts, it wasn’t like I released an album and then sat at home. I tried to be very practical and engage with my audience during live concerts as I have always loved singing on the stage. First Kurds thought it was a weird style but soon they accepted it and liked it. From your albums, are there any songs that you could keep singing without getting bored of them? (Laughing) I consider my songs to be my children: I love them all and put a lot of effort into them, but of course I prefer some more than others. But isn’t there one that you never got bored of and is particularly special for you? (Laughing with a long pause) You forced me to say it, it’s Min Navê Xwe Kola Li Bircên Diyarbekir. Among Kurdish singers, who do you think is the most talented? I don’t have one name in my mind, I can mention a long list of good Kurdish singers who have done a very good job and have powerful voices. 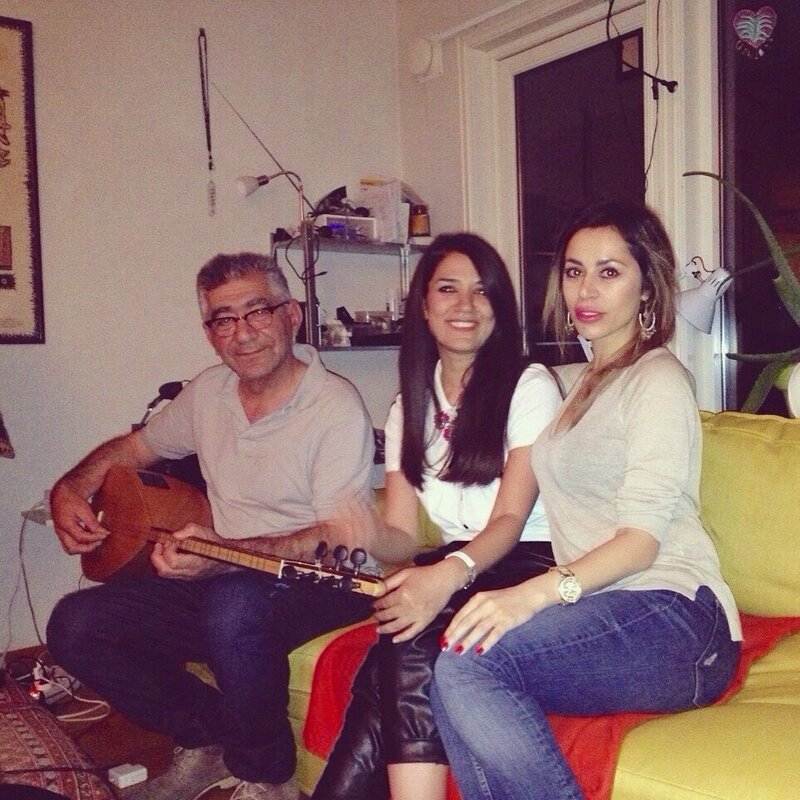 Many Kurdish singers are in a difficult situation; and I personally know many of them. Generally I think if each one of them does their bit, things will eventually move forward. I thank all of them and I like them all. Could you share with us some international names in music that you like to listen to? At one point in my life I listened a lot to Joe Cocker and Tina Turner, then on to U2 or Michael Jackson. I have a lot of names but I can’t remember them all. How did you feel on stage looking at a 200,000 strong audience at your concert in Batman in 2003? Many Kurds in Turkey were telling me how much they loved my music and I used to reply by saying “oh thanks, send my regards to all of them”. When I stepped out onto the stage in Batman and saw the masses in front of me, I was so shocked. I never realized that there was such admiration for my music. This love wasn’t created in one day but was a result of 25 years of work. 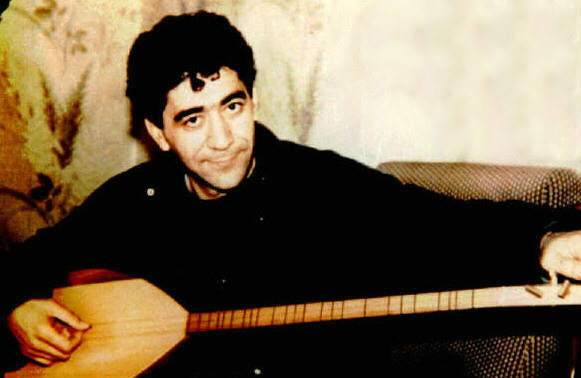 Kurds in northern Kurdistan were more familiar with my music because they were more familiar with Western music styles. I have a special love for my fans in Northern Kurdistan. It was a very good feeling and I almost cried from happiness, words can’t express my feelings then. The best thing about this is that if I decide to do another concert in northern Kurdistan, the audience will be as large as in 2003. I send them my best regards and wish I could hug all of them. How do you spend your days when you’re not doing concerts? I mainly spend it home with my daughters, Lorîn and Rosa. I am the one who usually cooks at home, unless if it’s fish, then my Icelandic wife will make it. You know, in Qamishlo we barely had any fish (laughing). My wife is good at cooking seafood. I don’t go out as much as I used to, unless there is something important such as charity work to help people in Kobanî and Shingal, for example. Is there a plan to release a new album? I prepare new songs in my head but it’s a slow process, I’m not sure when they will be ready. I guess this winter might be a time to start. What do you want to say to people who still live in Qamishlo, your hometown, during these difficult times? I want to tell them that my heart is with them during this difficult situation that you are going through and I have big love for you. The Middle East is boiling now and we as Kurds are a part of the Middle East; and even if the fighting continues, I think people will eventually get their rights. As you know, as Kurds we had no rights, but recently and especially after the rise of these radical groups, Kurds will not end up with empty hands. They are living on their own land and they have got the strength to defend it from Afrin to Khaniqeen. I tell them to be patient: there will be a bright future waiting for you. As a musician, you have to either keep making new songs or keep doing concerts. I have worked a lot but I must keep engaging with my fans to keep a close relationship with them. I will always keep this precious relationship alive as long as I can. Posted in Music and tagged #Music #KurdishMusic #CiwanHaco. Bookmark the permalink.